That Malibu - It's A She! When I first got to Vancouver in 1975 my plans to become a photographer met with a brick wall. The only job I could find was working at Tilden-Rent-A-Car on Alberni Street almost corner with Thurlow. For close to 6 months I washed and vacuumed cars. One day I was told that I had to jockey cars to the airport location. I panicked because I had never driven and automatic in my life. In fact I had never ever driven anything but a VW beetle or my almost as small Fiat X-1/9. Both had manual transmissions. I was told to take a Chevrolet Montecarlo to the airport. The car felt like a tank and seemed to have similar handling characteristics (all pure conjecture since I never did have a chance to drive a Sherman). I was told where to put the key and shown the gas pedal and the brake pedal. I was not given crucial information. The crucial information is that when you drive an automatic you only use one foot, which you roll from the brake to the gas pedal and back as the need arises. I used both my feet and as I left the car lot all I could do was to jerk the car forward. I drove it like that all the way to the airport. At the airport I was given an Oldsmobile Cutlass to drive back. I jerked that one, too. There was a pleasant co-worker who hailed from Kelowna who with a smile said, “Alex, let me show you something.” I was at that point and henceforth privy to crucial information. When I got to my six months that powers that be decided to promote me to counter clerk but not before I had learned of all the possible ways of opening any car (we had problems with the early Honda Civics) in under four minutes flat. Customers were always forgetting keys inside locked cars. With the keyless entry of modern cars this is now a virtual impossibility. 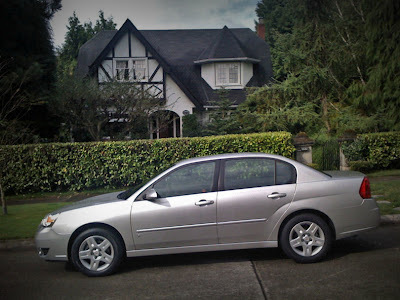 It was at Tilden that I learned to appreciate big American cars (or domestic as we Canadians call them). My favourite was the nimble mid-sized Olds Cutlass (an extremely exciting car with lots of power and very good brakes). I was never able to figure out how the folks at GM could years later manufacture such a dud of a car as the impossibly and most stupidly named Oldsmobile Achieva. 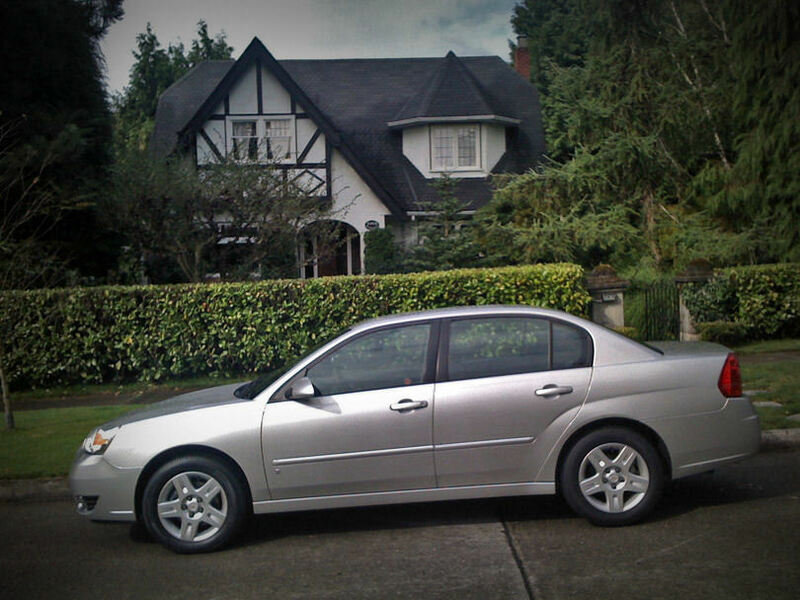 It seems fitting that since yesterday I have been driving a domestic 2007 Chevrolet Malibu sedan. Rosemary is a bit depressed since the Malibu is no Audi A-4. The Malibu is no slouch with its V-6 engine. Because it is not an all-wheel-drive car I knew I could not floor it in yesterday evening’s rain. The car would swerve from side to side. But it is equipped with traction control and ABS brakes (discs on all four). It has features like heated seats and a power driver’s seat. It is the sound system that has all kinds of bells and whistles and very nice controls on the steering wheel. In short I am excited and happy and hope that Rosemary will come around. She insists that our Malibu, like her Audi Sophie (as she called her four generations of Audis) is a female. So we are perhaps close to the moment when Rosemary will smile a tad and give the Malibu a name. Link to: That Malibu - It's A She!